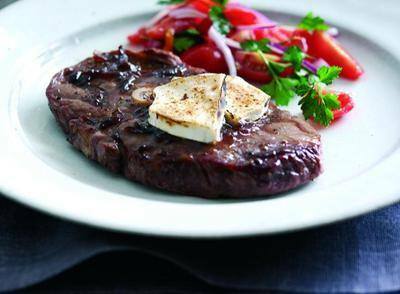 A delicious, moist lamb steak, cut from the leg which is one of the leaner cuts of lamb. These lamb steaks are delicious for a quick supper - they are so lean and tender, they don't need a lot of cooking - but they're also great for the barbecue. A pack of four steaks weighs approximately 400g, a pack of eight steaks weighs approximately 800g. All our lamb is English and in the right season, we are able to source quite a bit of from a local farm just a few miles down the road in Crick.